It was there in prison where he was believed to have been radicalized. The susceptibility of an inmate in British prisons to Islamist radicalization is well documented. Extremist literature, like ISIS's Inspire magazine, is present, as well as convicted terrorists who exert undue influence on the general prison population. The vast majority of imprisoned terrorists refuse to attend any de-radicalization programs, leading former Scotland Yard Counter Terrorism Commander Richard Walton to tell Sky News that "very few" inmates convicted for ISIS-related crimes had reformed. Other critics go even further, noting "that many "deradicalization" programs established by Western governments have been fraught with repeated and embarrassing failures." He traveled to Saudi Arabia and worked there for several years after his release, settling upon his return into Luton, a city well known for radical Islamist elements, including the radical Islamic cleric Anjem Choudary, now serving time in prison for terrorism-related crimes. 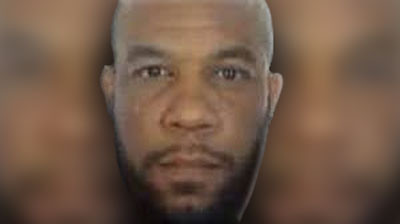 It was sometime after returning to the UK that Masood became a person of interest in an ongoing terrorism investigation, although MI-5 never connected him directly to any specific terror plot. He simply fell off the radar until Wednesday's attack in London. Examples include the Newburgh Four plot to bomb a New York synagogue, Mohammed Merah's shooting attack on a Jewish school in Toulouse, France, and Amedy Coulibaly's massacre inside a Paris kosher grocery store. As to which is the greater threat, prison gangs or Islamist radicalization, Kevin Smith, the former Assistant U.S. Attorney who successfully prosecuted a group of inmates who formed a terrorism cell within the California Department of Corrections known as Jam'iyyat Ul-Islam Is-Saheeh (JIS), articulated it most succinctly when he testified before the House Committee for Homeland Security looking into the threat posed by Islamist radicalization in the prison system. Smith said, "It is my professional opinion that this particular group of radicalized inmates presents an exponentially greater danger to innocent individuals and civilians out on the outside." Counter terrorism authorities have an opportunity now to act decisively against this group of potential terrorist recruits before the next attack occurs. Prison is a controlled environment. Radical literature must be removed. Clergy must be better vetted. And inmate associations and communications must be better monitored. Prison officials do not need a FISA warrant to listen to an inmate's telephone call or read his mail.